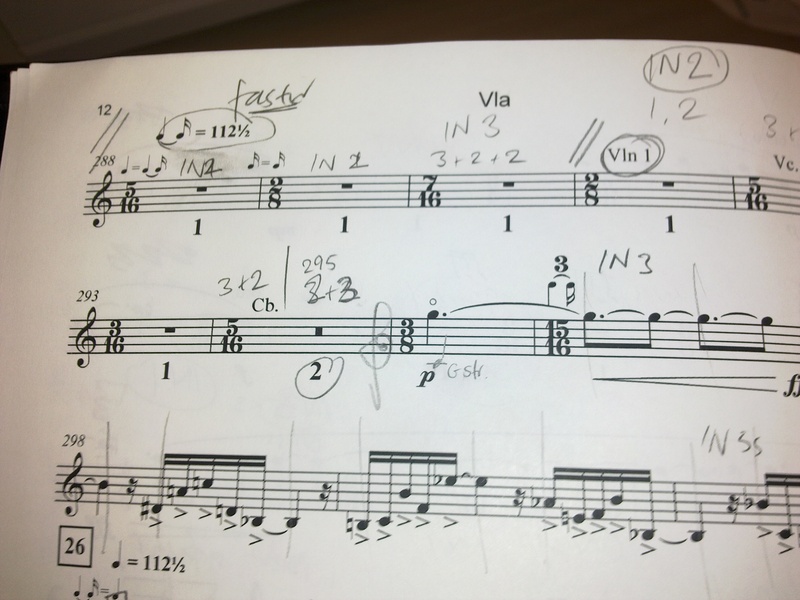 •	The Musiclab does Birtwistle concert on Monday 7th feb was a great success, or so I gathered from the audience – I still don’t really get or like the piece we played (Silbury air) which is supposed to be one of the hardest that Birtwistle wrote…! 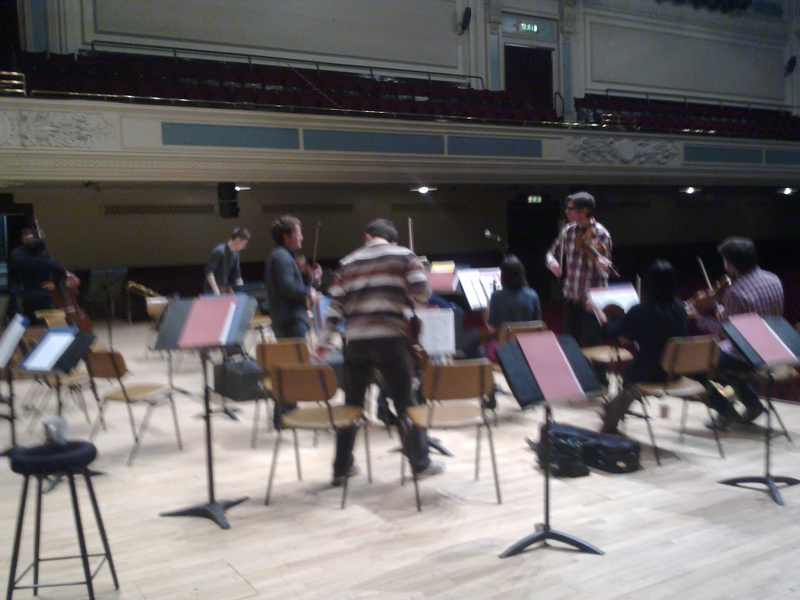 Here’s a photo of the score with the absurd metronome mark of 112 ½ !! The conductor, Jessica Cottis, managed extremely well though. •	I have started physio on my neck/shoulder to try and help the pain get better, The physio (who specialises in musicians) has told me it is because I put my head forward when I play, and thus put strain on my lower neck, irritating the nerves and causing pain in my shoulder/arms/left hand. He has given me some exercises to do, and I’m going back next week. •	I have entered the concerto competition, the preliminary round of which is on 7th march. I will be accompanied by Scott Mitchell, one of RSAMD’s accompanists, and will be playing the Walton Viola Concerto (only the 1st mvt for the first round, the rest if I get through on 11th march). •	I have been on my nursery placement twice – more of that in another post! This entry was posted in scottish ensemble, viola playing and tagged MusicLab, RSAMD, Scottish Ensemble, Touring on February 22, 2011 by jesswyatt.